Each year, the Tony Jannus Distinguished Aviation Society celebrates the world’s first airline and its record-breaking pilot, Tony Jannus. And where was this airline? New York? Chicago? London? Berlin? No. The world’s first airline originated in St. Petersburg, Florida. The world’s first regularly scheduled heavier-than-air airline took off from the Municipal Pier in St. Petersburg on New Year’s Day 1914. The airline was known as the St. Petersburg–Tampa Airboat Line. It was organized just a few months before that New Year’s first takeoff. The airline was the brainchild of Percival E. Fansler, a Jacksonville-based electrical engineer. Fansler enlisted the support of Thomas Benoist (pronounced ben-wah), an early airplane manufacturer who provided the planes-or, more precisely, the airboats. The airboat was known as Benoist Airboat Model XIV, no. 43. The model number referred to the year in which the plane was to be offered for sale (1914). The number indicated that it was the forty-third aircraft to be built from initiation of the Benoist Aeroplane Company. The Benoist Airboat was an early version of what we now know as a seaplane, able to take off and land on water. This was a necessity at the time as St. Petersburg had plenty of water but no airports. Airboat no. 43 was supplemented a little later by a second airboat, no. 45. The two airboats made up the airline’s total fleet. No. 43 accommodated one passenger in addition to the pilot. No. 45 was somewhat larger and capable of accommodating two. Benoist also provided the pilot, Antony Habersack Jannus. Tony Jannus was a test pilot for Benoist who set early records for passenger flight time and for overwater flight in 1913, and he was the pilot when Albert Berry made the first successful parachute jump. He also held the first federal airline license. Mural by George Snow Hill at Tampa International Airport. But this world first would never have been possible without the backing of Board of Trade manager L.A. Whitney and businessman and later city mayor Noel Mitchell. In order to make his plan for a new airline work, Fansler needed the support of the St. Petersburg business community and the city’s government. He also needed a subsidy to help reduce the financial risk to Tom Benoist. Fansler made his proposal to Whitney, who immediately pledged $1,200 to subsidize the airline. Whitney then referred Fansler to Mitchell, who pledged another $1,000. Mitchell then gathered eleven other local investors to pledge $100 each to start the airline. Mitchell even got the city to build a hangar for the airboat on the South Mole of the municipal pier, at the foot of Second Avenue Northeast. Tony Jannus at the controls of a Benoist plane, 1913. Jannus then took off, skimming across the bay at a height of fifty feet. After a twenty-three minute flight, including a brief landing on the bay to make adjustments to the propeller drive chain, Jannus and his single passenger, Abe Pheil, touched down on the Hillsborough River in Tampa. An even larger crowd of 3,500 greeted the Benoist in Tampa. Tampa mayor Donald B. McKay welcomed Jannus and Pheil. The return trip took only twenty minutes. Upon arrival back in St. Petersburg, Jannus dropped his flight goggles, breaking the glass. Ten-year-old Judy Bryan ducked under the rope holding back the crowd. Running up to Jannus, she asked if she could have the goggles. Without hesitation, he gave them to her. Then he removed one of the brightly lettered Benoist pennants from the wing and handed that to her also. Finally, as the tourist season wore down, the airline suspended its daily operations on March 31. The airline continued for another month with a reduced schedule and flights upon request. The last flight was on May 5. The airline did not break even but came close to it. It appears to have been self-sustaining in two of its three months of operation. In January, it only flew eighteen days. The amount of subsidy drawn from the business community ranged between $540 and $1,740. The exact financial net of its operations is unclear. Given more time for marketing and optimizing operational efficiency, the airline may very well have turned a profit. The Benoist no. 43, also known as the Lark of Duluth, was actually owned by banker Julius Barnes of Duluth, Minnesota. He had either loaned it or sold it back to the Benoist Company for use in the St. Petersburg–Tampa Airboat Line. According to aviation historian Warren Brown, after the airline closed, no. 45 was sold to Roger Jannus. Roger Jannus then sold the airboat, and it was taken to San Diego, where it crashed in the ocean in February 1915. Several local aviation enthusiasts bought Benoist Airboat no. 43 and took it to Conneaut Lake, Pennsylvania. The plane crashed but was rebuilt and named the Florida. The Florida was brought back to St. Petersburg, and Tony Jannus returned to fly it. On February 25, 1915, the flying boat crashed in the bay after a wing broke. It was again rebuilt. In November 1916, no. 43 was placed in storage, and after that was lost to history. Jannus’ achievements and the significance of the world’s first airline have long been recognized. In 1964, the St. Petersburg and Tampa Chambers of Commerce established the Tony Jannus Distinguished Aviation Society to annually honor Jannus and the first airline. The Jannus Society’s annual award is known as civil aviation’s premier recognition for extraordinary accomplishment. Past recipients include such aviation icons as Donald Douglas, Captain Eddie Rickenbacker, Lieutenant General James H. Doolittle, Frank Borman, Charles Yeager, Sir Freddie Laker and Norman Mineta. 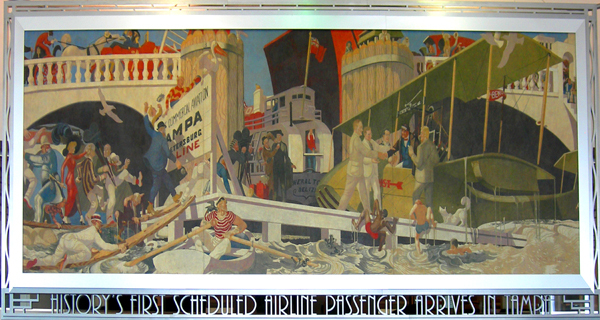 Portraits of Jannus and the first airline painted by 1930s Works Progress Administration muralist George Snow Hill hang at Tampa International Airport. Jannus was also inducted into the Florida Aviation Hall of Fame. A new wing was built at the St. Petersburg Museum of History in 1992, dedicated to a permanent exhibit featuring the first airline and its founders. This includes a flying reproduction of the Benoist no. 43. The goggles and pennant given by Tony Jannus to ten-year-old Judy Bryan, along with a full-size working replica of the Benoist Airboat and other memorabilia relating to the first flight, are on permanent exhibit. Another replica hangs at the St. Petersburg–Clearwater International Airport. 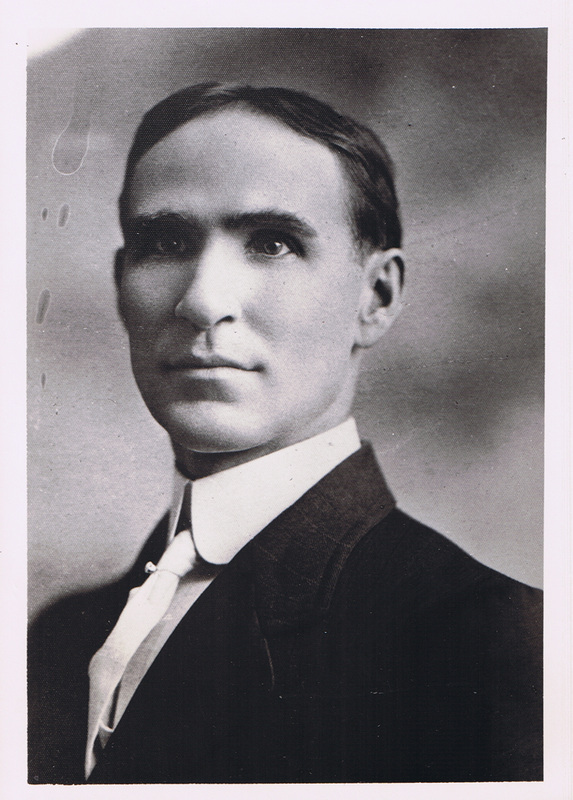 In 2006, Tony Jannus’ portrait was added to the First Flight Shrine at the Wright Brothers National Memorial in Kitty Hawk, North Carolina. He was designated “A Great Floridian” by the State of Florida in 2010. Downtown St. Petersburg's Jannus Landing entertainment center is named after the famed pilot. In 2010, the American Institute of Aeronautics and Astronautics (AIAA) designated the Central Yacht Basin in St. Petersburg as a Historic Aerospace Site-the place of the first commercial airline flight. In 2011, astronaut Nicole Stott carried the original Benoist pennant on the thirty-ninth and final flight of space shuttle Discovery (STS-133). In 2012, efforts were underway to plan the celebration of the centennial of the first airline in 2014, including petitioning of the U.S. Postal Service for the issuing of a Centennial/Jannus commemorative stamp. 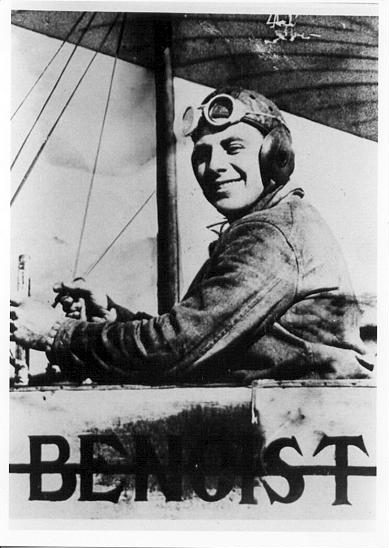 The contributions of Percy Fansler and Thomas Benoist have been overshadowed by Tony Jannus over the years. While Jannus was the chief pilot of the St. Petersburg–Tampa Airboat Line and effectively served as its public face, the company could not have accomplished what it did without Fansler and Benoist. The idea of the airline was Fansler’s. It was he who enlisted the sponsorship of the Benoist Company, sold the project to the St. Petersburg business community and city government and served as airline manager. Tom Benoist provided the planes and chief pilot Tony Jannus and agreed to operate the airline on a break-even basis. Percival E. Fansler and Tony Jannus were inducted into the Florida Aviation Hall of Fame in 2003. Thomas Benoist was inducted in 2012.